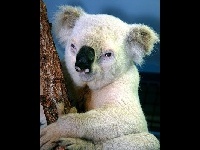 Koalas are not part of the bear family. Koalas are herbivores (plant eaters). 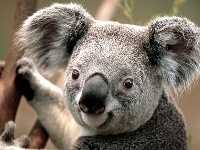 The word koala traditionally means "no drink". Koalas do not usually drink water. 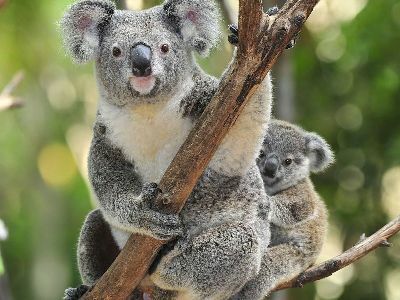 The Koala lives only in the eucalyptus forests of eastern Australia. 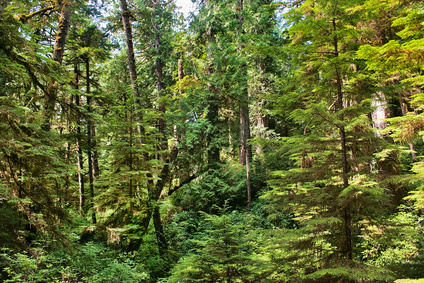 Koalas spend most of their time in trees. 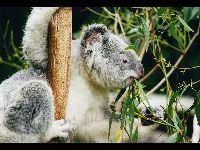 The Koala feeds mostly on the leaves of the eucalyptus tree. A baby Koala is about the size of a grape when it is born. Adult Koalas weigh about 15 to 22 pounds. 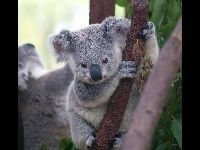 Koalas grow to about 2 feet in height.